Hotel Gawaling International is located at Changspa in Leh, Ladakh. Hotel Gawaling International offers comfortable accommodation with modern facilities to its guests.The Hotel Gawaling international is located amist quiet and peaceful lush green barley fields in changspa, just1/2 km leh, the capital city of ladakh.Guest arriving by air can arrange to be met at leh airport by the hotel’s staff, and driven to the hotel where they can relax and acclimatize to the higher elevation of ladakh.The Hotel has 28 well appointed rooms plus 2 VIP suites, each with all the modern facilities. These include comfortable and a private spacious bathroom with hot and cold running water, shower and many with a relaxing tub. Each room has a large window leading onto o private balcony with a spectacular panoramic view of the Indus Valley and the magnificent Himalaya mountains beyond. All rooms have a cable TV and telephone for your relaxation and convenience. You can also relax outside your room in the Hotel’s large lawn garden, or wander through the peaceful fruit tree and vegetable garden. 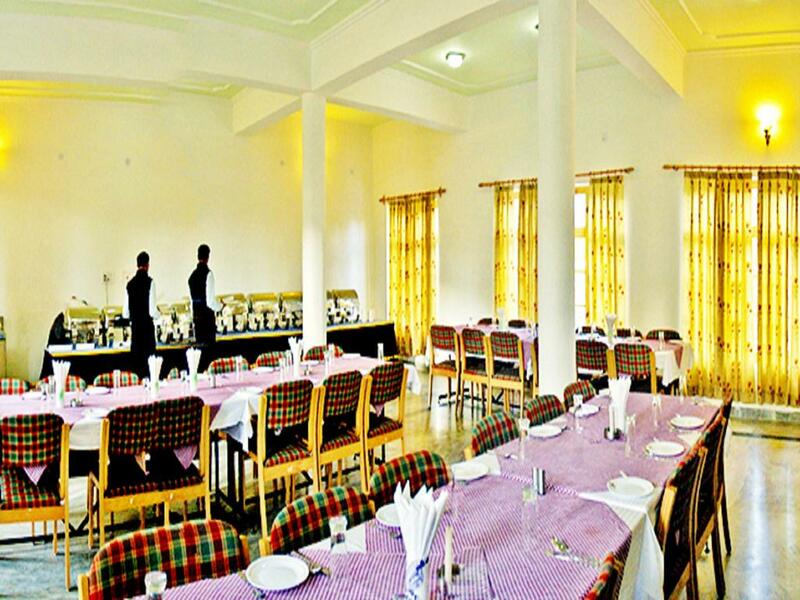 Hotel Gawaling International offers you a heaven of peace and quit away from today’s hectic pace of modern life. Taxi Service, Parking, Porter Service Available, Front Desk, Major Credit Card Accepted, Laundry Facilities, Travel Counter, Room Service, Coffee Shop/Cafe, Family/Child Friendly. Ceiling Fan, Dustbins, Complimentary Newspaper, H/C Water, Luggage Rack, Bottled Water in Room, Shower Caps, Makeup/Shaving Mirror, Cable/Satellite TV, Telephone. Coffee Shop/Cafe, Laundry Facilities, Parking, Room Service. User reviews for "Gwaling International Hotel Leh"